Recently the Oregon State University Socratic Club hosted a debate on abortion between Dr. Nadine Strossen1 and Dr. Mike Adams2. If a pro-lifer wants to learn how to effectively discuss this topic, this debate is the one to watch. I would point out that statistics probably has a value in this discussion. 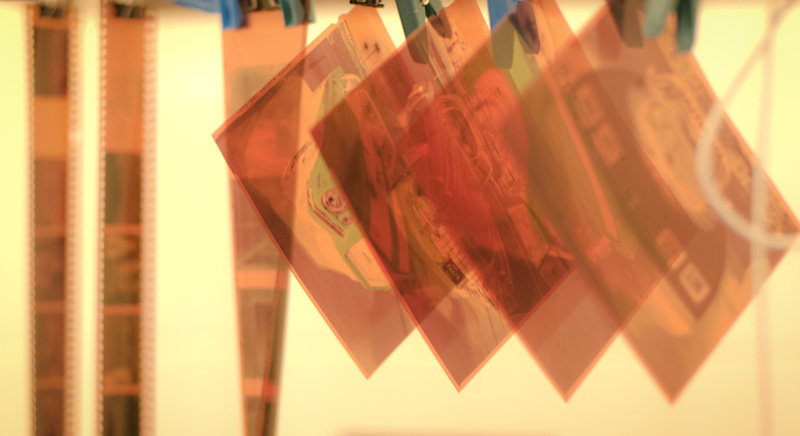 When you are determining the “future value” of a Polaroid, there is some small probability that the photo would not have developed properly or at all. The value of the undeveloped photo must be reduced by that statistical probability. Many people do not realize that the probability of a newly fertilized egg developing into a fetus, let alone being carried to viability, is not particularly high. I don’t know that statistic, as that’s not my area of expertise, but it is not nearly a sure thing. Additionally, there are now tests that can determine conclusively, when a fetus is alive, but cannot possibly survive outside the womb. How does that diminish “future value”? We cannot make laws that assume the “future value” of a two-celled human is equal to that of an adult, because in many cases, that is a very bad assumption. I would point out that statistics probably has a value in this discussion. There’s actually an element of question-begging in your assertion that statistics are relevant. It presumes that the value of a human being at one point is higher than at another. And yet that is not actually the case at all, at least when we consider post-birth humans. There are all kinds of physiological and psychological changes that take place as a newborn becomes an infant, a toddler, a child, an adolescent, and finally an adult. Are any of these gradations reflected by laws that make killing a person at one of these stages of development different than killing a person at another? “We cannot make laws that assume the “future value” of a newborn human is equal to that of an adult, because in many cases, that is a very bad assumption.”? Your unspoken assumption (and the reason that your argument is a form of question-begging) is that there is already some vital, qualitative difference between stages of development pre-birth and stages of development post-birth. And yet that assumption is, in fact, the very thing that you’re trying to prove. No, you have cherry picked one statement from my argument, to attempt to invalidate the entire argument. My argument is about the probability that a viable independent life occurs from an individual conception is substantially less than a foregone conclusion. Becoming independently viable, I believe, IS a significant milestone in the value of an embryo/fetus, and therefore deserves a legal distinction. Additionally, it is entirely possible for a woman to not know that she is pregnant, and unknowingly endanger or even kill an embryo without ever knowing it existed. If we don’t have a legal distinction SOMEWHERE, this is tantamount to manslaughter. I haven’t cherry-picked anything. The argument that you proposed didn’t work. It was circular. Becoming independently viable, I believe, IS a significant milestone in the value of an embryo/fetus, and therefore deserves a legal distinction. OK, so that’s the conclusion you’d like to draw. Now it’s up to you to advance a non-circular argument for why viability matters. Why does a human being who is on dialysis still count as a person but a developing human being in the womb not count as a person? What is it about viability–about being able to live autonomously–that makes the magical distinction between a human organism that is a person and a human organism that is not? It is entirely possible for a woman to not know that she is pregnant, and unknowingly endanger or even kill an embryo without ever knowing it existed. If we don’t have a legal distinction SOMEWHERE, this is tantamount to manslaughter. The basic idea that if we treat a human being as a person before birth, then every accidental miscarriage must be treated as a potential homicide is an understandable mistake, but still a mistake. Treating all human beings as having a fundamental equal right to life does not mean that all deaths are equally suspicious or merit equal consideration by the criminal justice system. SIDS, for example, means that investigations into the deaths of very small infants are not going to have the same degree of suspicion as deaths of older children. Why? Because we know that–tragically–sometimes very young children die for basically no discernible reason. The criminal justice system can adapt to that reality. For the case of unborn human beings, the distinctions would be even more profound, and so the difference in how miscarriages would be treated vs. other apparently accidental deaths would be even more pronounced. In addition, the fact that a death is being investigated doesn’t magically make due process go away. Police don’t get to search your house without a warrant just because you might be connected to a death. The investigation has to take your rights into account. That’s the whole point of due process. It’s what the phrase means. Obviously, this same principle would apply to women. In short: there is neither any reasonable basis for suggesting that all miscarriages should be investigated as potential crimes nor is there any reasonable way in which all miscarriages could be investigated as potential crimes without violating due process. The most important key is that you need to do a better job of separating two distinct issues. One issue is the right to life. The other issue is the nature of homicide. Consider must adult human beings for a minute. All of them have an equal right to life. But if you kill someone, it might be murder, it might be manslaughter, or it might be justifiable homicide (not a crime at all). So the degree of criminality can be totally independent of the question of the right to life. So for you to assume that if we change the right to life of the fetus this will automatically have a consequence in degree of criminality is clearly confused. I agree that Tyler’s view requires treating a non-viable fetus as equivalent in value to an adult, but the problem comes from using the idea of value at all. The whole point of the concept of value is to abstract away from the particularity of things to get to a single scalar value. It seems to me philosophically deeply at odds with Christian ethics, because it essentially denies the existence of incommensurability. In doing so, it undermines the basis for any resistance to consequentialism. If you compare an act which preserves value of two vs. an act which preserves a value of one, the very abstraction away from the nature of the acts and the particularity of what takes those values leaves you with only the values of the consequences to judge. It also inclines a mathematical mind toward more creative mathematical operations. If all people have equal value, then a person who lives for two days provides twice as much value * time as a person who lives only one. With everything else we value, that just collapses into twice as much value. Even with human life, it seems we have to care about time in order to make sense of our sentiments, or even the pro-life position. If a life which ends in abortion after only a month is exactly as valuable as a life which ends after 90 years, then abortion doesn’t sacrifice any value. If life extension or preservation is to have any value, then simply calling all lives equal, no matter their quality or duration, seems impossible. That seems to be the premise of the future value argument, but it undermines the equal value of all human lives. So, while focusing on value might be effective in certain contexts as a debating tactic, but it seems to accord poorly with my understanding of Christian ethics, which isn’t big on reducing moral choices to the value of the consequences. While I appreciate and understand that the degree of criminality can vary from case to case, the political machine of the Right Wing have been pushing very hard to make laws that suit their ideals about “personhood” regardless of any common-sense moderation. They do not care if their laws harm good people trying to do the right thing, as long as they can gain political points for it. My wife (and I) have been on the receiving end of such “good intentions” and were made to sit through a lecture about murdering babies after finding out my wife had miscarried. We were in shock and were mourning, and were made to sit through a description of the procedure my wife now had to have (to preserve her health, and possibly, life) that made it sound brutal and barbaric. Until the Right can figure out a way to enforce laws that don’t abuse grieving women, I cannot support their agenda. We’re drifting rather far afield from earlier points, but that’s OK with me. In 2012-2013 it had revenues of about $5 million and expenses of about $6 million. Planned Parenthood is the country’s largest abortion provider. Their revenue (2013, I believe) was over $1.3 billion. Planned Parenthood pulled in more than 260 times the revenue of the NRLC. If these two organizations were machines, one of them is a farm tractor and the other is a mouse trap. The second misconception is that the pro-life movement is going after personhood-style laws for kicks and giggles with reckless disregard for the effect those laws might have. The reality is that (1) the laws are probably not nearly as far-reaching in their implications as you might have been led to believe (as we covered in the previous section) and (2) the pro-life movement has basically no room to maneuver, legally. As long as Roe v. Wade and Doe v. Bolton are on the books, the democratic process in this country on this issue has been effectively paralyzed. I happen to think personhood laws are a good idea (at least philosphically, the devil is in the details), but it doesn’t really matter what I or anyone else thinks because the pro-life movement is an impoverished, grass-roots, volunteer organization taking on a giant, government-funded, celebrity-endorsed industry with their hands tied behind their backs by one of the worst SCOTUS rulings in our history. Now, as for that horrible lecture you had to endure: I’m personally sorry. This is a great example of why I find “abortion is murder” rhetoric to be not only philosophically unsound and politically counter-effective, but also flatly unkind and uncharitable. All movements have their kooks and weirdos, however, and I hope that–in time–you can see that there is more to the pro-life movement than that one awful experience. I think we’re in agreement on this one. You’re right. If I was debating in the context of Christian ethics, I wouldn’t use the future value argument, since the innate value of humanity in Christian ethics already does the job. The future value argument is better for a general crowd where, if an audience member lacks any particular ethical convictions, they will probably default to the cultural standard of consequentialism mixed with some leftover Judeo-Christian standards. If I was debating in the context of Christian ethics, I wouldn’t use the future value argument, since the innate value of humanity in Christian ethics already does the job. Christian ethics is that it’s fundamentally opposed to consequentialism. If killing one person would save two peoples’ lives, you still can’t do it, even though, by value, that’s a positive choice. It’s not about the value of the outcome, it’s about the nature of the act (including its intent). Murdering a person isn’t morally wrong because of the value of that person’s life, but because God has forbidden murder. But I’m not a Christian, so I’m no authority. That’s just the impression I’ve gotten from talking to others who are. It’s possible that I’m interpreting too much concern with outcomes into value, but I think that’s generally something people think about when they think of value. I think you’ve diagnosed our misunderstanding. The point of talking about value regarding abortion isn’t to set up a consequentialist value comparison between the fetus and the mother. The point is to establish that the fetus is a person with moral standing and therefore deserves a spot at the table when talking about the ethics of abortion. It’s a launching point for debating abortion under any ethical system because persons command much more concern than non-persons in every ethical system that I’m aware of. Murdering a person isn’t morally wrong because of the value of that person’s life, but because God has forbidden murder. Presuming to peer into the mind of God is always a dangerous game, but I don’t think it’d be far off to say that God has forbidden murder because He endowed human beings with innate and special value. But I’m also not big on Divine Command theory, so I tend to look at prohibitions as “God forbids x because…” rather than “God forbids x” and the story ends there. Wikipedia: Nadine Strossen was president of the American Civil Liberties Union from February 1991 to October 2008. She was the first woman and the youngest person to ever lead the ACLU. A professor at New York Law School, Strossen sits on the Council on Foreign Relations. Wikipedia: Dr. Mike Adams is an American conservative political columnist, writer, author and college professor at UNC Wilmington.